One question we're frequently asked is, "What's the difference between website designers and website developers?" It's a good question, and unless you're web savvy, you may not recognize the distinction. Web developers are like architects and builders who give you a solid foundation and the bare bones of your structure. 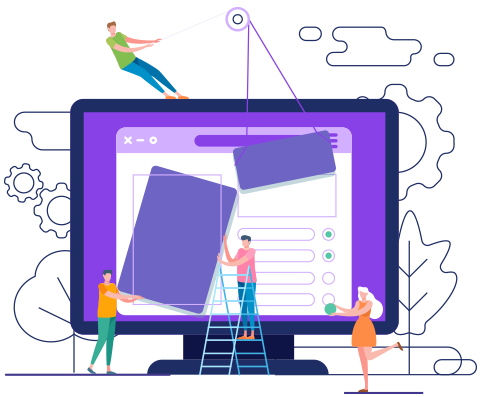 Website designers, on the other hand, are like interior decorators who polish the bare bones of your structure so that it's esthetically appealing, and add all those little touches that make your structure your own. What's your company or cannabis store image? Are you hip and flashy, smooth and sophisticated, or conservative and straightforward? Whatever your image, whatever your goals, Cannabis Merchant helps you express that image online with our cannabis web design in such a way that attracts your target audience. Cannabis Web Design summary of what you get for a small investment ($1,500) is outlined below. Cannabis Online Catalogue products that your Cannabis Store caries. No product pricing or sales online.